Gym Professional Fitness Equipment Seated Shoulder Raise! This Seated Shoulder Raise Gym Equipment has high-strengh steel cable with good flexibility and strength of extension which provides longer lifetime. 2 layers American Dupond coating prevents from rusting and oxidation.The cushion is made from PU leather which will not absorbs sweat and is easy to clean. The inside material PEP is not easy to change its shape and it is durable. Every connection use motor-level precision ball bearing. The Seated Shoulder Raise Machine is popular for gym fitness. Looking for ideal Gym Professional Fitness Equipment Manufacturer & supplier ? We have a wide selection at great prices to help you get creative. All the Seated Shoulder Raise Gym Equipment are quality guaranteed. 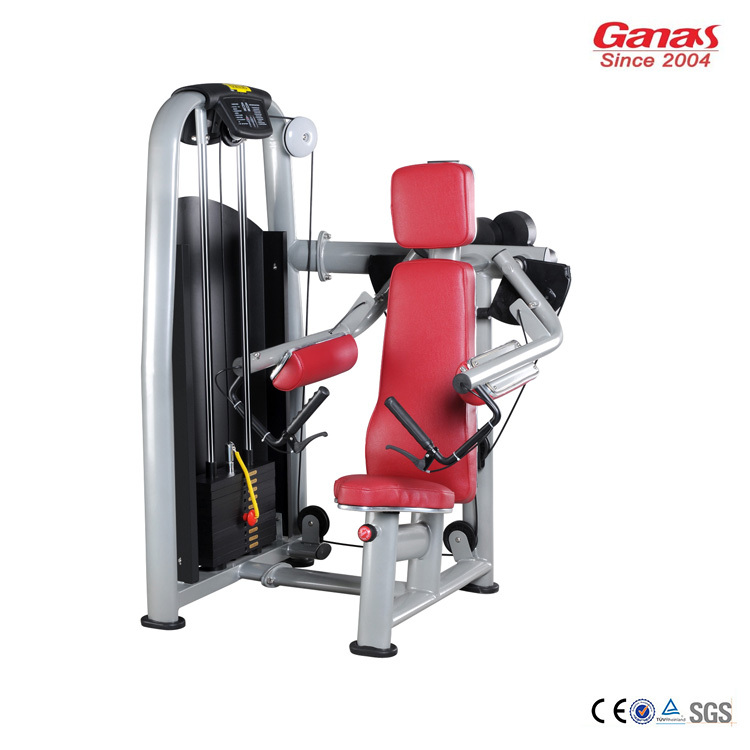 We are China Origin Factory of Seated Shoulder Raise Machine. If you have any question, please feel free to contact us.